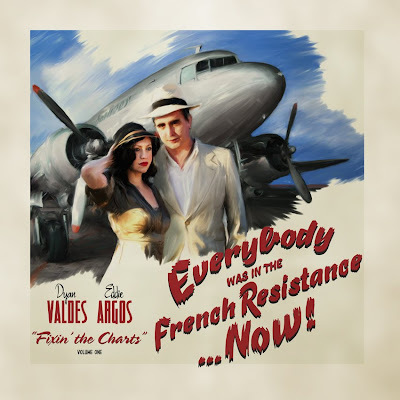 Everybody Was In The French Resistance...Now are Dyan Valdes and Eddie Argos. The album is called 'Fixin' The Charts' and was produced by David Newton at his studio 'Rollercoaster East' in Joshua Tree California. It is out in January on Cooking Vinyl. Awesomess! I know it's going to be good. I love the cover, excellent. My friend Thom White, whom you know also, is releasing his second solo album through Cooking Vinyl and is using a photo of mine for the cover. I'm pretty excited about that. I don't think I'm having any say in the typography or design but I'm not really sure about that. Ooh, looking forward to this. And I LOVE the cover art! AMAZING! can't wait, Eddie. Hey, d'you reckon you guys will play in Paris next year? Pleeease do. Well, that's a good start to a decade. Excellent news. Come and play Sheffield in some form soon! Awesome, Eddie, I thought something untoward might have happened to the album after the big gap between updates. Can't wait for this. 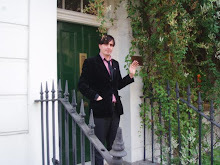 It's been a long time coming - but the wait is almost over! Whoops got a bit behind.